In this blog, we discuss some business ideas for housewives, which can help them to generate passive income. Most Housewives want to work for support to family and generate some extra income. Some women want to work from home job to create new identity or self-confident. But when they want to start or thing to do some work and generate some extra income, they never find the exact option. Some of want to learn skills but they don’t know how to find a way or which path they can choose to do better with limited time. Most of the housewife never move from home because of a child. And they don’t have any internet skills to do online work. Because of that reason they not working or leave child single for making money. From last few year worlds are going improve. Lost some new opportunity coming near you. The society going to the next level. Most developing country not using the internet as like developing country, so there is a low chance to work online. This blog just provides your idea, if you want to more information about how to start and grow then please comments. The first option is being a tutor for low to a high standard student. Search student from near you and start tuition from home. Simple and without investment work for the housewife. Hardly 2-3 hours’ work can generate good income for you. If you are complete your graduation and you have a free place in the house or out of the house then you can start work with a tutor. That is the best business idea for housewives, where they learn lost some new work like make-up and other work which is women want to use. If you don’t have any knowledge or skills then you can easily gain and start from your home. That is very simple work for housewife where they can generate good money. That is most all know work from home job. If you want to start this work you have minimum stitching machine. Work which you can start from your home. If you don’t have any good skills then you can learn from your hometown. If you don’t find good customer near you then you can sell your online website. 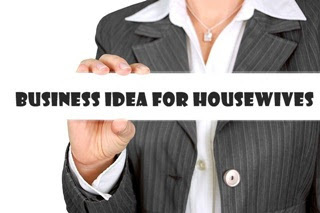 When start writes on work for a housewife, I found this superb business idea for housewives. In this type of work, you want to start possessing on farm row material. You already aware of jam, Packet Juice, etc. That type of product you can make from home and sell that to the marketplace. Very largest scope available worldwide. Well, tiffin service is well known for all, it’s just make food for corporate staff and student who went from home and want to house food. In that business just want to make good food and deliver to offices. That also starts without investment. You can start that business with 1 or 2 customers, and after you will improve with your experience. When we discuss work for housewife when we have to know about art and fine work. If you have created then you will start this work from home jobs. The artwork is simple to work for making special paintings and art from a specific material. You already aware about Warli painting. You can search on local search to know about more. Making Embroidery on cloth another work for a housewife, with that work you can make an easily good amount. Some good organization, schools, and companies want a special uniform for logo work on a uniform they need embroidery maker. Some manufacturing company also provide some small embroidery work from home. Most housewife is not going out for jobs because of their baby. So they can start babysitting work at own house. In developed countries, many women went job so they want some who care for their baby. That is simple business ideas for housewives, where you already know how to care child. As per the survey, 2.7% Job gap in gems and imitation work. Women’s daily use gems and jewelry, there is large-scale market available for design work and art making. So you can start with own or find work from near your location, who provide you with some work. You have learned minimum basic skills to make gems. Well, that concept use in developed countries. Developed countries have a problem with manpower where always a high demand for housekeeping staff. So some housewife start finds a house like and provide them work coutattion. If client intrusted in then you have to go their place make a checklist of work, after the finish, your work collects payment. Well, that is a new way of business for the housewife. You already know what type of work is that? People who went from a house and stay and work or studying, they need always clean cloth. So that is one business for housewife, where you can earn with very low investment. You need a place and a washing machine.